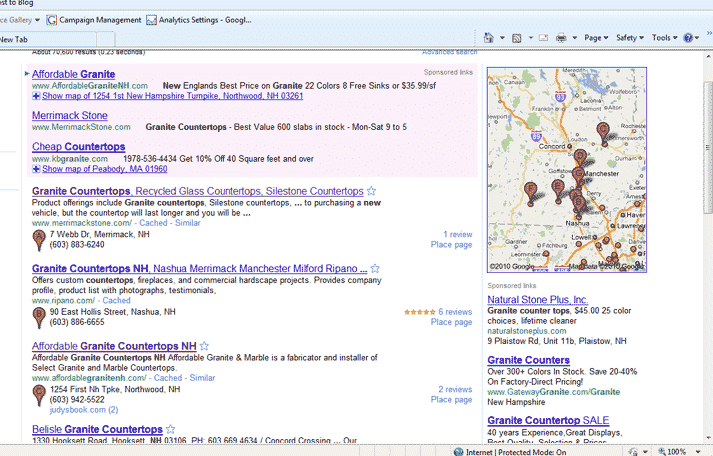 name the first page of Google is now transformed into Google places market place. Now all that organic search marketing you've been working on just took a back seat. 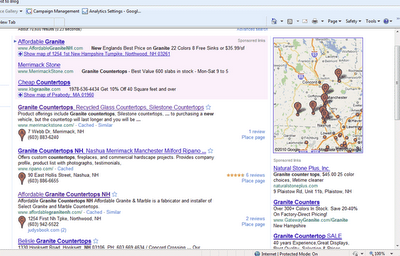 If you are not on the first page for the map section for the granite countertops market we can help. We have the ability not not only boost your local listing but we can drive new business to your store in just a few short days. Our approach is different in that we take a holistic approach to your online marketing efforts. we track the overall effectiveness of the campaign and we ensure through communication with your team that we drive results.